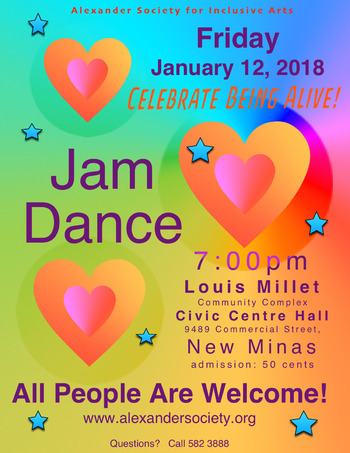 Come celebrate being ALIVE and dance yourself silly for one hour with friends and neighbours. We'll create our own music together! Live improvised music by Kory Bayer and Alex Porter. Facilitated by Kimberly Smith and Kathleen Purdy. All ages and abilities welcome.